While owning a home is considered to be part of the "American dream," it could also lead to major source of financial problems for families and individuals in New Jersey. As it is the case for many homeowners, obtaining a loan through a lender is what made home ownership possible. Although this is common, it is also what leads some into financial crises, causing the fear of foreclosure. Our law firm understands that keeping a home when addressing financial problems is important. Individuals and families have options when it comes to addressing financial problems, helping them to prevent or even stop the foreclosure process. A problematic mortgage loan could be the culprit for the foreclosure process to be initiated. Our attorneys are knowledgeable about loan features that could lead to financial problems, and have successfully helped past clients navigate their situation. Balloon payments, changing interest rates and interest only payments are common reasons for homeowners not being able to make timely payments. While other life challenges could add to the financial struggles, problematic mortgage loans are often the reason why a homeowner is facing foreclosure. If this is the case and a homeowner believes that a lender has acted unfairly, a homeowner has the right to challenge the lender and make a defense against the foreclosure. Additionally, a homeowner could negotiate with the lender and sell the home as a short sale, allowing for the proceeds to count the debt as paid in full. Finally, a homeowner could stop foreclosure by filing for Chapter 13 bankruptcy. This debt relief option not only allows the homeowner to stop to foreclosure process but could also help the debtor consolidate and reduces the person's debts. Our staff is knowledgeable about the options available to those going through the foreclosure process, and they have successfully assisted past clients pursue a course of action that met their needs and interests. Dealing with financial problems and potentially losing a home is a stressful and challenging situation. It is important that individuals and families are aware of the options available to them. 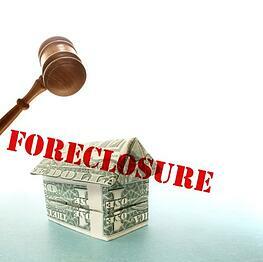 To learn more about how to stop foreclosure of your home, contact one of our New Jersey lawyers today.